So, taxes in Singapore are really low, and Singaporeans should be grateful? I tried to do a comparison. 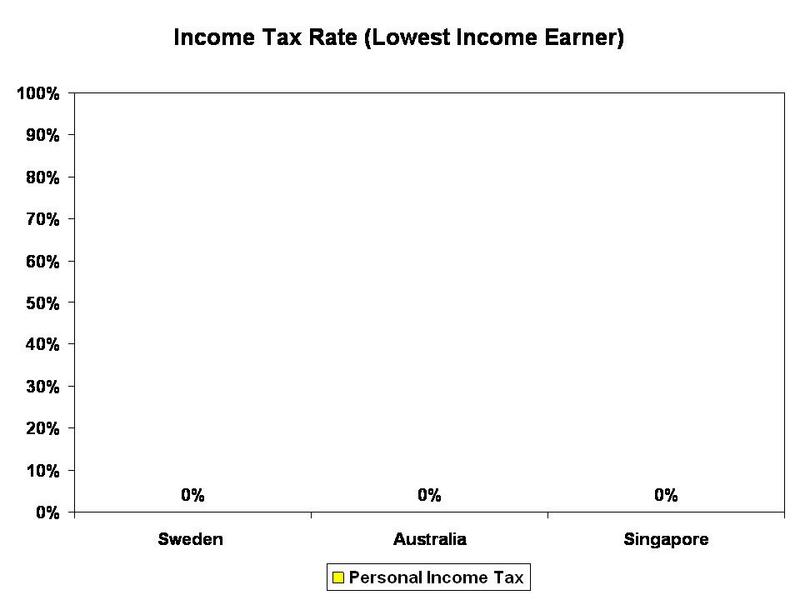 In Chart 1, you can see the highest tax rates for Sweden, Australia and Singapore. 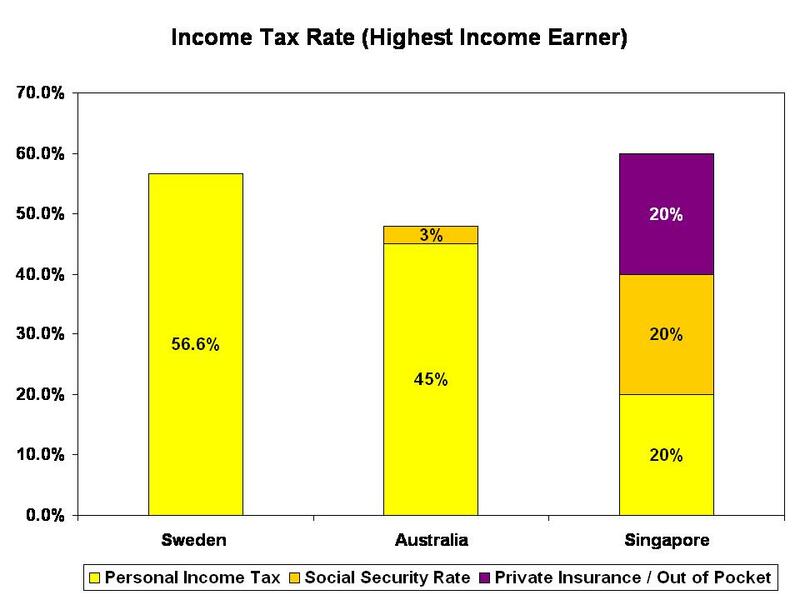 If you are a high-income earner, you pay the lowest tax rates in Singapore. In Chart 2, you can see the comparisons of the lowest tax rates for low-income earners – all 0%. Let’s look at how Singaporeans are financing their healthcare then, and whether the government is playing a significant role. In Chart 3, I had looked specifically at what the high-income earners of each country need to pay into, to be able to to access healthcare. For Sweden, whatever tax the Swedes pay from the 56.6% income tax covers them for everything, including free healthcare. Technically, Swedes have to pay another up to SEK 1,100 in one year, where thereafter consultations will be “free of charge” for the year. They also have to pay up to SEK 2,200 for prescription medication in one year. This means that they only need to pay an additional S$645 out of their pocket every year to receive free healthcare, and this applies for both locals and foreigners. For Australians, they pay “a Medicare levy of 1.5% of their taxable income” for “access to health care”. For higher-income earners, they pay an additional Medicare levy surcharge of up to 1.5% – which means this would add up to 48% of their taxable income that high-income earners have to fork out. What about for Singaporeans? The tax of 20% that we pay go into subsidies for healthcare . But on top of that, we have to set aside another 20% into our CPF, of which a proportion goes into Medisave and Medishield for healthcare. But this is not enough. We would still need to buy private insurance, so that we can be more adequately covered for healthcare – private insurer companies recommend that we spend 20% of our income to buy insurance. If we choose not to, we would have to pay out-of-pocket for healthcare expenses. So, altogether, how much are high-income Singaporeans actually setting aside? 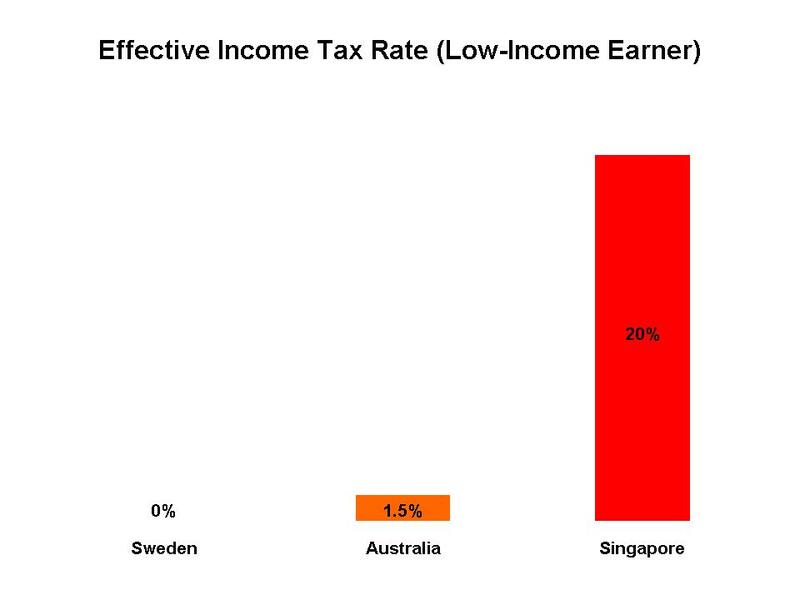 – 20% tax, 20% CPF and another 20% on private insurance (or otherwise, out-of-pocket expenditure) – high-income Singaporeans are actually paying an effective tax rate of 60%, which is actually on par or higher than what the Swedes and Australians are paying. To give you a clearer picture, you can see in Chart 4 the comparison. The Swedes only need to pay a 56.6% tax to have everything covered. The Australians only need to top up by a bit more and pay about 48%. For Singaporeans, we have to pay tax, and then CPF and we still have to rely on private insurance – all in, it’s about 60%, more than what the supposedly high-tax countries have to pay. So, does Singapore actually have low tax? What about for the low-income earners? You can look at Chart 5. For the Swedes, the low-income earners will be protected by the system. Their genuinely progressive tax structure ensures that the poor continues to be able to access free healthcare, even if they cannot afford to pay for it. For the Australians, the low-income earners pay a Medicare levy of 1.5%. 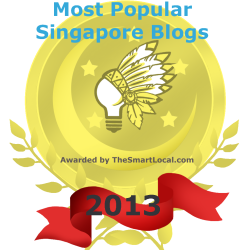 What about for Singaporeans? If you earn below $500, you don’t have to pay CPF. If you earn above $50, your employer will contribute 16% of your income to your CPF, which means that you would have some form of Medisave and Medishield. But will you ever be able to meet the Medisave Minimum Sum to be able to use your Medisave fully? Also, will using your Medisave to pay for your Medishield premiums wipe out your Medisave? If your family members use up your Medisave, will you still have enough to use in your Medisave? 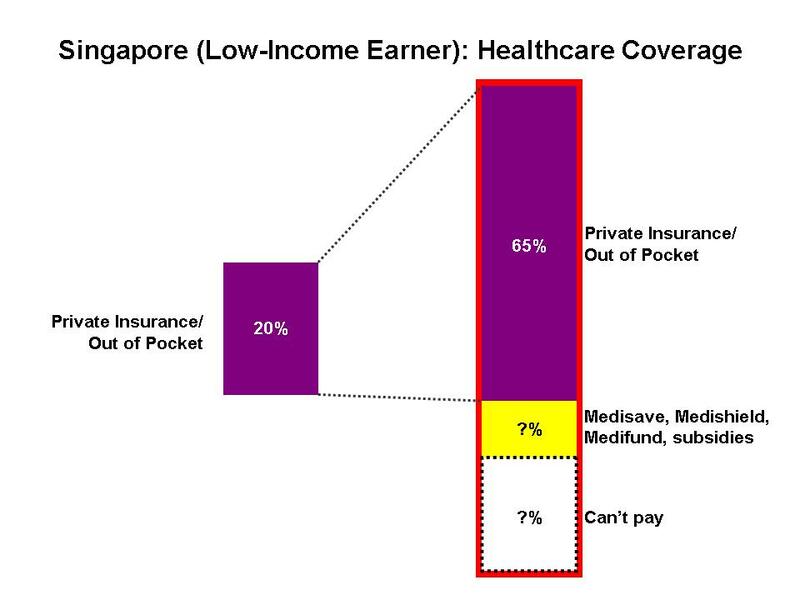 Which means that for the low-income earner in Singapore, they would still need to buy insurance or pay out of their own pockets to be able to access healthcare. But because they are earning such low incomes, they wouldn’t already have enough for their daily expenses, so they would most likely not buy insurance. And they would have to pay out-of-pocket everytime they have to see a doctor, or they might even choose to fall sick than see a doctor, to save on money. With that, if we continue to use the estimate that they would set aside 20% of their income, Chart 5 is what you get. Even if they only spend 5% to 10% of their incomes on healthcare, it is still significantly higher than what the low-income Swedes or Australians have to pay. 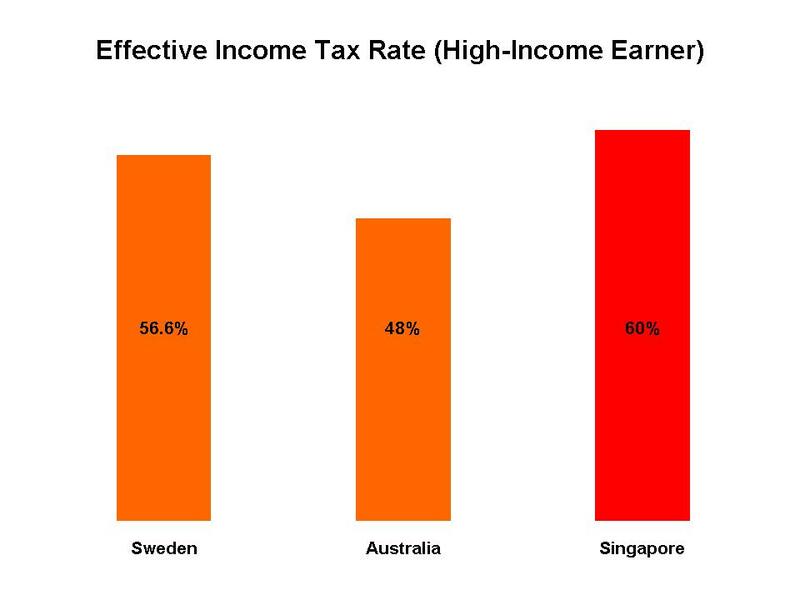 Chart 6 gives you a clearer picture – if you earn a low-income, you are much, much better off in Sweden or Australia where even though the taxes are high for the highest-income earner, as a low-income earner, your government will take care of you. Let me put this in a clearer manner. First, we will look at the high-income earners. 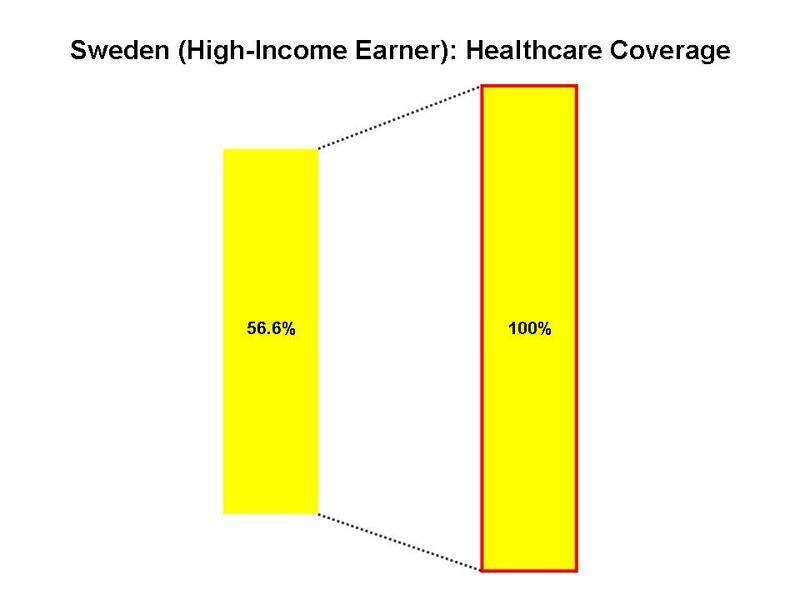 So, in Chart 7, you can see that a high-income Swede needs to pay only 56.6% of his/her income to receive full healthcare coverage. 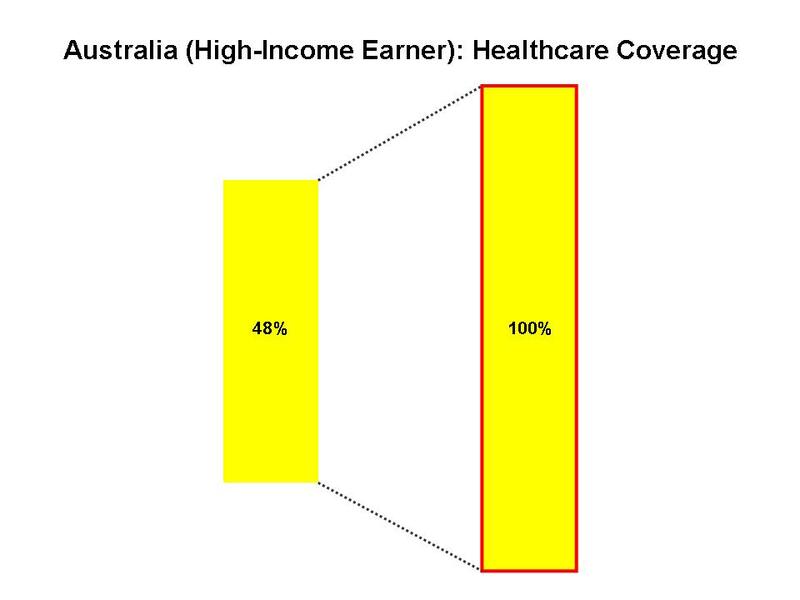 An Australian needs to pay only 48% of his/her income to receive full healthcare coverage (Chart 8). But for a high-income Singaporean? It’s very cumbersome (Chart 9). They have to pay 20% income tax, then another 20% CPF – but this will still not be enough! And because it’s still not enough – they have to either take up insurance or pay out-of-pocket, which means they have to pay 60% in total. That’s still not the end of the story. 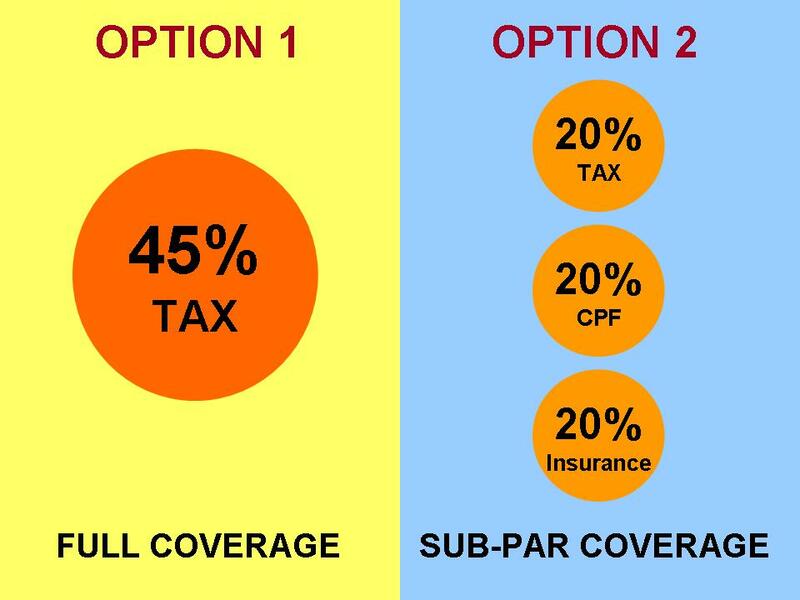 The 40% that they pay through income tax and CPF will only cover about 35% (between 32% to 39%) of their health spending. 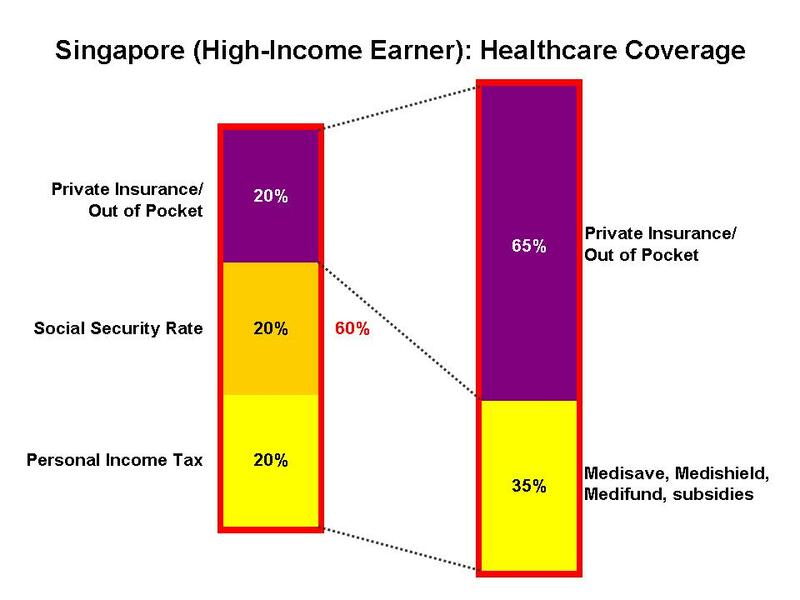 Which means that for the Singaporean, they have to pay out-of-pocket or buy insurance to cover the other 65% of their health spending! 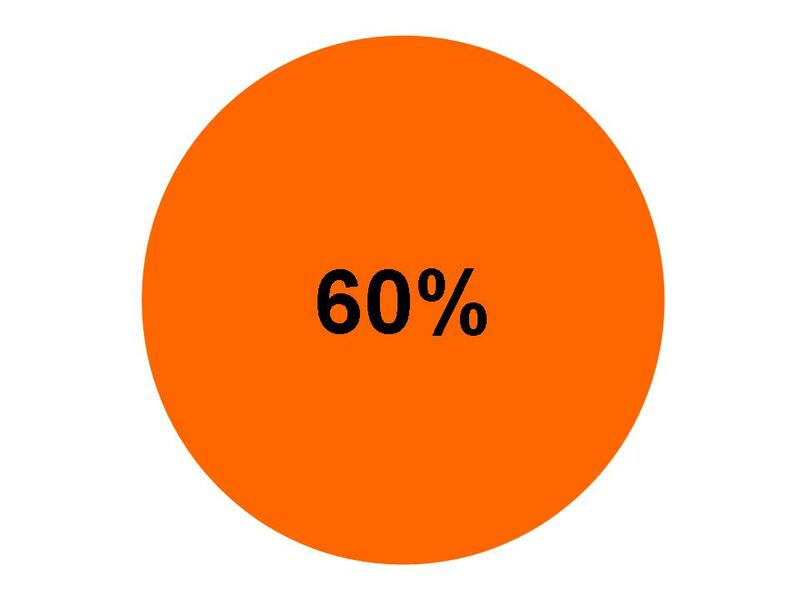 Do you think 20% is enough to cover for the rest of the 65%? Or am I already making a very conservative estimate? Next, we look at the low-income earners. 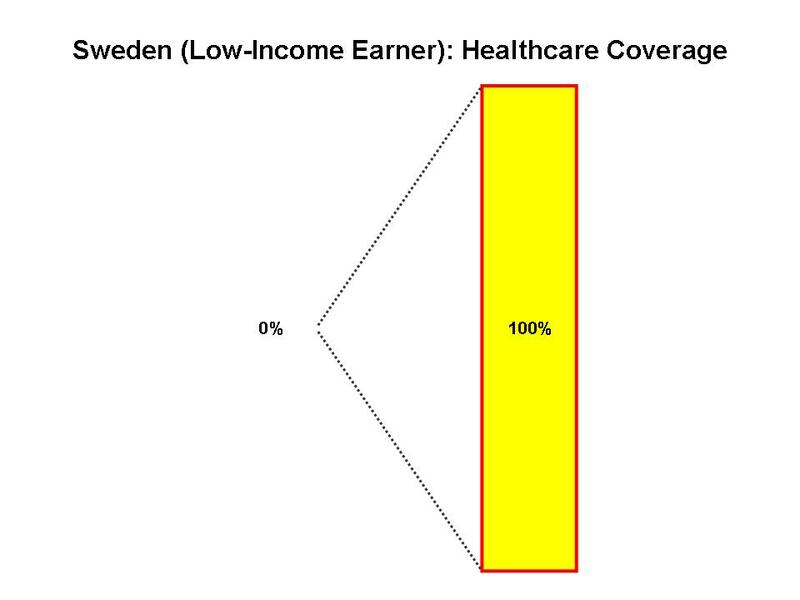 For the low-income earners, a Swede might not be able to afford to pay for medical coverage but will be covered by the system for free (Chart 10). 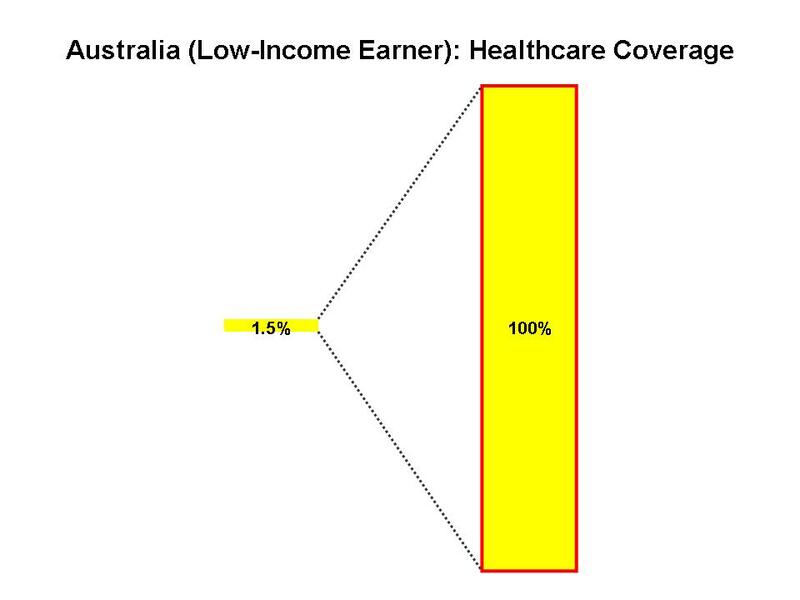 An Australian needs to pay only 1.5% of his/her income to Medicare to access medical care (Chart 11). Whereas the poor Singaporean fellow won’t be able to receive proper medical care (Chart 12). You see, he/she might have a little bit of Medisave but is it enough? Can he/she afford to pay enough into Medishield to be covered? Also, what is the success rate of applying and receiving funding under Medifund and how much do they each actually receive? It is a tedious and embarrassing process to have to apply for Medifund. How many of them do not apply for financial assistance because of this? And even then, the subsidies, Medisave, Medishield and Medifund only covers around 35% of their health spending. What about the rest? They would have to buy insurance or pay out of their own pockets. But if they don’t have enough? How many of the low-income earners in Singapore won’t be able to afford healthcare or would choose to remain sick, simply because they cannot afford? It’s terrible being poor in Singapore. You will be very afraid to fall sick because you won’t have enough to see the doctor and the government simply doesn’t do enough to protect you, or want to protect you, even as a fellow citizen. In Sweden and Australia, you might be poor but you are still accorded the same right and respect as someone else. You will still be protected by the system. In Singapore, if you are poor, who will want to take care of you? But the other question is this – why did the government break up what we need to pay for healthcare into so many separate components? Why not just put them all under taxes, where the government can then distribute them accordingly, like how the Swedes and Australians do it? Well, imagine this – look at Chart 13, then at Chart 14. 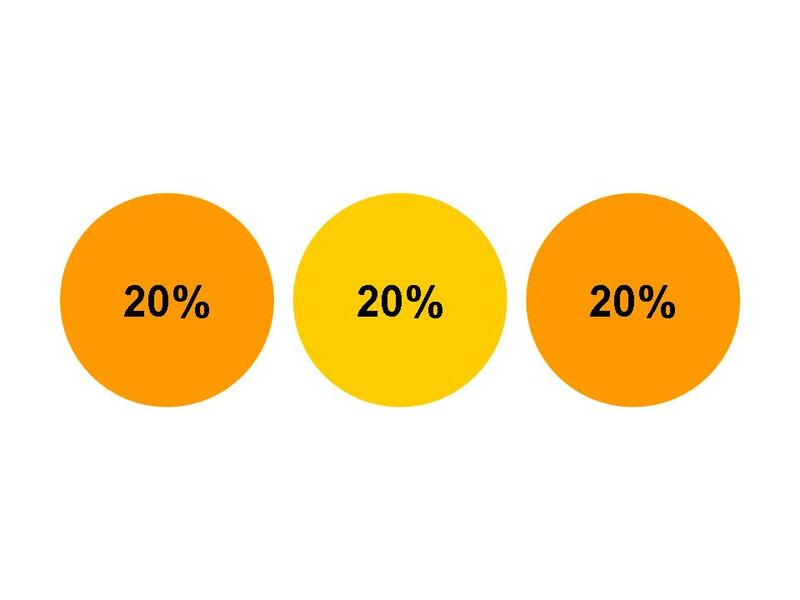 Is it easier to tell you to pay 20% or 60% of your income on something? 20%, right? So, if you are the government, and you want to make the people pay 60%, you would then break it up into three parts of 20% each, so that it’s more palatable for them, so you will get Chart 15, where 20% goes to income tax, 20% to CPF and 20% to private insurers. But, private insurers aren’t the government, you say? We will come to that later. But another reason for splicing the 60% up? The rationale is this – if I am the government, if you are only paying 20% to your income tax, how can you expect us to give you free healthcare?? So, if I am the government, I can tell you things like – I can’t do more for you unless you want to pay more. And because I scare you into a corner with this, you wouldn’t want to pay more, and I don’t have to do more. But clearly, if Singaporeans are actually paying as much as the Swedes and Australians, and they are already receiving free healthcare, why are we short-changed? Why are we still made to pay around 65% out-of-pocket for healthcare? You do the maths. Sure, you can tell us that we are only paying 20% for income tax, so you really can’t subsidise more for healthcare. But in total – if a high-income earner here is paying more in effective taxes than a Swede and Australian, shouldn’t that mean that mathematically, we should be able to receive the same as they do – which means free healthcare as well? What are we being shortchanged on, for our CPF, Medisave, Medishield and Medifund? What are we being shortchanged on, for our private insurance? Something is not right, don’t you think? How is the CPF, Medisave, Medishield and Medifund invested and computed? Why are we not getting the same returns as the Swedes and Australians who have set aside similar amounts but are getting back much greater returns? Because the answer lies in something else. 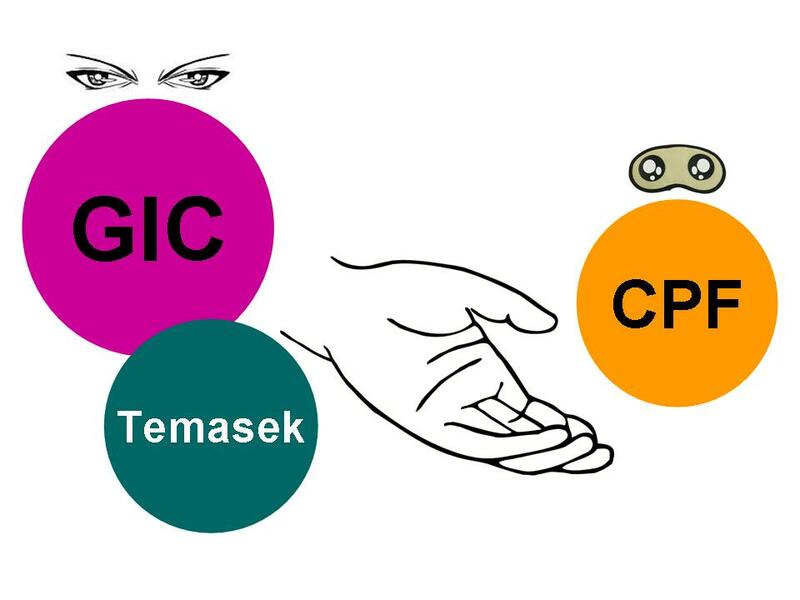 Do you know that our CPF is invested in the GIC and Temasek Holdings (Chart 16)? 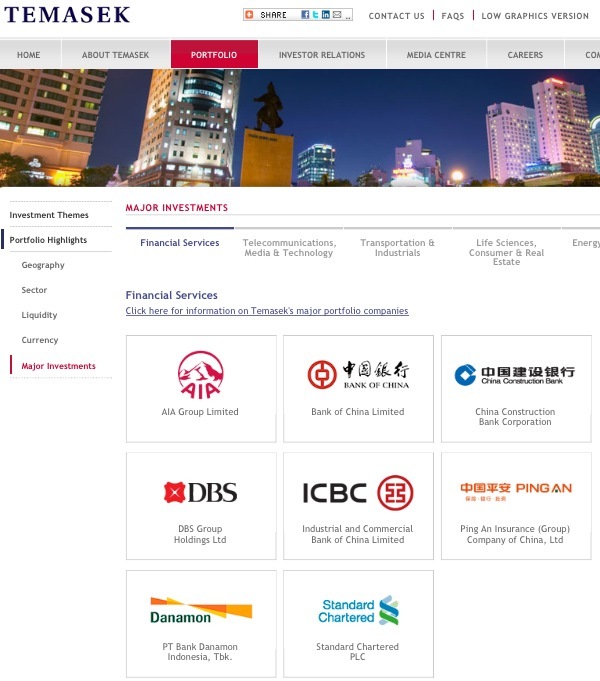 Do you know that we get our returns back from the GIC and the Temasek Holdings? Now, imagine this – if you are an investment company and you need the CPF to invest, are you more keen in ensuring that you have a pool of CPF monies that doesn’t move much so that you have a pool of ready assets to invest with, or would you be actually be contended to let the CPF monies be returned back to the people who lent it to you, or rather, whom you have made lend to you? If you are a profit-focused and profit-making capitalistic government, you would want to make it quite hard for people to take their CPF monies out, so that you can keep using this money to invest, wouldn’t you? You would increase the CPF and Medisave minimum sums fast and above even inflation and wage change, for example, and you would not give too high an interest rate back to the people, even if your investment companies earn high interest rates. Also, you would ask them to pay more and more into their Medisave and Medishield premiums while giving much lower payouts, so that you can keep as much money with you, wouldn’t you? You know something else? Temasek has shares in AIA (Chart 17). When you have shares in an insurance company, are you more interested in making sure that the company does well financially, or are you more interested that the company provides enough coverage and protection for its clients, and to your citizens? Can you imagine – if you let a private insurance company take on the responsibility of covering for the healthcare of the people, you do not have to cover for every single illness of the people, because the private insurers can choose not to cover certain people for certain illnesses, which means that this allows you to save on costs. Good, right? So, first, you break up your system so that because people are made to think that they are paying so little to taxes that they should keep quiet and accept the low level of subsidies. Then you also allow private insurance companies to take on the role that the government should rightfully perform, or at least do actually perform in other countries, so that instead of spending more on the people, you can actually make money out of them. Smart, right? Let me try to illustrate it to you more clearly. If you ask people to set aside 60% of their incomes, for example. 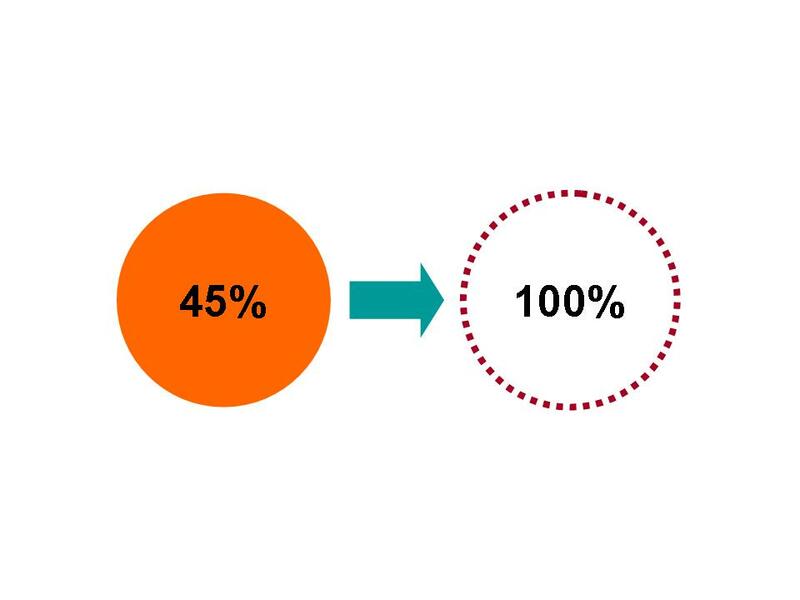 Wait – you don’t even have to ask them to set aside 60%, because with the economies of scales and efficiencies, they might only need to set aside 45% to 50%. So, if you knew that if people were to set aside 45% to 50% of their incomes on one singular tax (Chart 18), you would have to provide them with full coverage for every public service, such as healthcare, education etc, would you want to do so? Would you, when you can actually break it up and say, look, I will just give you a simple 20% tax. But, I’m sorry, because it’s such a low tax, I can’t give you everything. So, here’s 20% of what I can give (Chart 19). But since it’s a low tax, you will have more spare cash to use that money the way you want it. We are good to you, right? But what about the rest? Well, you know, somewhere along the line, we might need to provide further for you. 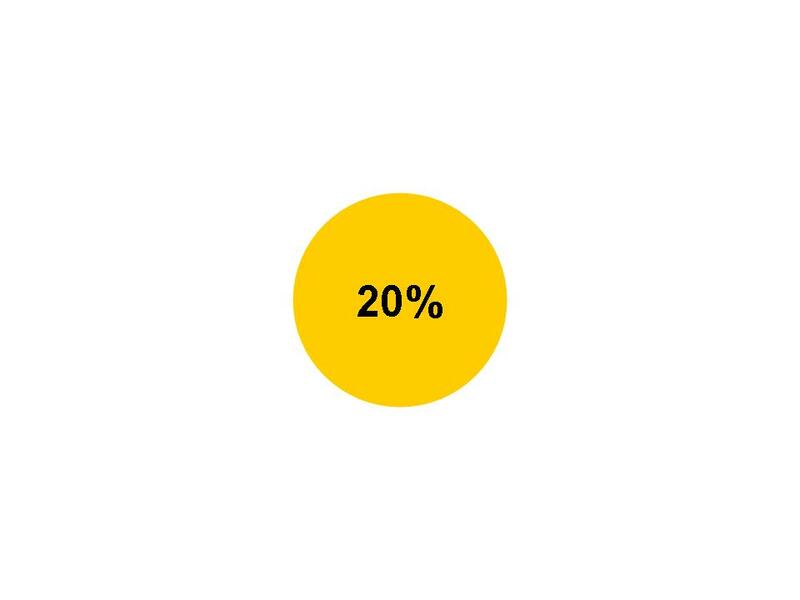 So here, let’s take another 20% from you. Oh, and you know what, as healthcare costs increase, you most probably have to set aside at least 20% of your income to buy insurance or pay for healthcare out-of-pocket. But these are only 20% each. Very small proportions. You can handle them, don’t worry. So, all in, we can make 60% off you, when if we had to handle them altogether, we could only make 45% to 50%. Which is better for us? Meanwhile, what does the government do? Oh, healthcare costs have increased? I am so sorry, we really can’t help you with that. The taxes you pay are too low. So, bear with it, shall you? So, the government continues to pay a low proportion while the citizens take on a heavier and heavier burden. Meanwhile, prices continue to rise, while wages remain stagnant or even drop. And for the poor, they continue to languish as not enough support is given to them. So ,what do you think at this point? Well, there are many ways to look at this. This is one of way. You can decide how to interpret the Singapore story for yourself. 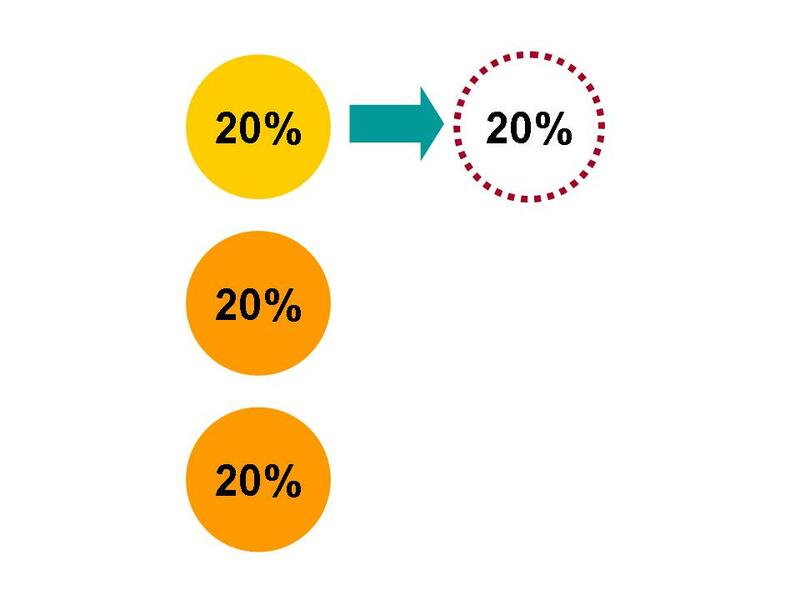 But, given a choice, would you want to pay 45% of your income as taxes and know that everything will be taken care of, or would you rather pay 3 separate portions of 20% each, amounting to 20%, and still not be able to receive the best care that you can (Chart 20)? And, mind you, for the Swedes, they pay 56.6% and this also provides for their education and retirement as well. So, even though this article highlights only the issue on healthcare, we can also include into this discussion education and retirement as well. But, the question isn’t just whether we should pay one singular 45% tax or split into three 20% payments. As mentioned, if what we are paying is already similar to what the Swedes and Australians are paying and they are getting full coverage for everybody, why are we not? Even as we are paying three 20% payments, we should be getting full coverage for everything too, shouldn’t we? The poor should also be fully protected, shouldn’t they? But why not? How exactly is the government calculating what we should be earning from the CPF, Medisave, Medishield and Medifund? How is the government calculating the increases for the CPF and Medisave minimum sums? How much is the government actually earning such that the money isn’t coming back to us? Even with the current payment proportions, we should be able to have full coverage and protection! Why are we not? Lest people say that Singaporeans’ incomes are too low to sustain higher taxes, let me first remind you – altogether, we are already paying effectively high taxes – 60%. Second, the wages of Singaporeans have already been depressed for many years now because of poor government planning and policies. Also, our severely crippled labour unions mean that they have no bite or teeth to be able to bargain collectively for the workers to allow workers to achieve higher wages, as the workers are able to in the Nordic countries, Germany and Austria. Finally, if you speak to someone from the Nordic countries or Australia, they would tell you that when they negotiate for their pay, they would factor in how much they would need after taxes, and negotiate for a pay that would pay them that amount, on top of the taxes. So, does higher taxes mean lower pay? It doesn’t. Most importantly, what does higher wages mean? Lower profits. Lower wages for the higher-income earners. So, who would not want higher wages? Who would not want higher taxes? Not Singaporeans. So, why have we been told so many opposites by our government? But you and I won’t be able to understand how they think. You and I don’t earn million-dollar salaries and do not have such a high life to upkeep. You and I want to live balanced lives, where we continue to work and contribute in whatever we can. But now we feel squeezed because we are not working for ourselves, but for the want of others who want to upkeep their lives. At this point, it’s not whether Singaporeans should be willing to settle with lower growth. It’s whether our government and politicians, and those aligned to them, are willing to accept lesser wealth and become more like us, commoners. Are they willing to let go of what they have – that is the question. Don’t turn it back on Singaporeans as if we are the leechers of the system. Again, no one is saying that our government and politicians cannot be rich and selfish. We are saying, by all means, go ahead. You have done it for a long time anyway. We are saying, if you want to do it, at least make sure you take care of the rest of us, because that was what we had elected you in the first place for – because you are the GOVERNMENT. Take care of the poor and elderly. Make sure they are able to have a respectable life in Singapore. Make sure they can see the doctor when they need to and they can retire and finally enjoy the fruits of their labour when they want to. We didn’t elect you so that you can turn this whole place into your own little factory, where all of us become your workers and work till our deaths. This is no longer some 18th-century sweatshop. This is a 21st century developed nation and one which is the richest in the world, for goodness sake! Prime Minister Lee Hsien Loong will be announcing initiatives to improve the healthcare financing system for the elderly on the National Day Rally 2013 on Sunday. I won’t be holding my breath. The point to note is that we do not even need to increase taxes, because the effective tax rate is already very high – which also means that if the effective tax rate is very high, we are not seeing the money flow back to the people as it would in other countries. 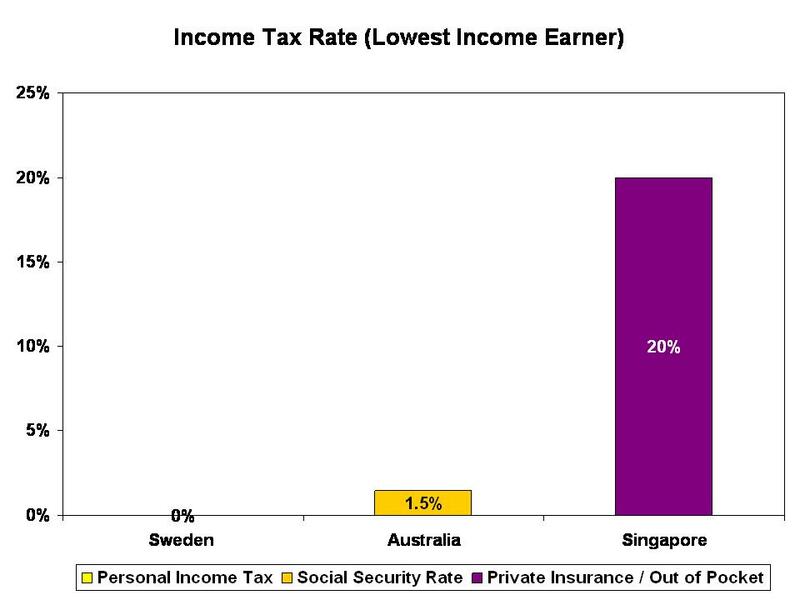 Also, in the illustration, even if we don’t include the 20% paid to private insurance, the highest effective tax rate would be 40% (20% tax + 20% CPF), which makes our tax rate actually comparable to Australia. Then, why are we not getting similar broad-range benefits as with Australia? Again, where did the money go to? Excellent analysis. This is what I have been thinking all along. The PAP government is not being honest with its people. Many people are conditioned to believe what the government says. I think there are some fundamental flaws in this post. 1. Correct me if I’m wrong, your comparison assumes that personal income taxes paid by individuals are used solely to subsidise healthcare. It isn’t. It can be used for a whole host of reasons such as public improvement works, feeding the inmates locked up in state prisons, providing social assistance to the needy etc. It is flawed to use the total amount paid in personal income tax and attribute that, in whole or in part, to the amount of healthcare assistance given to citizens. There are many other components that makes up government revenue, which would determine the amount of healthcare assistance. 2. CPF cannot be considered, in any way or form, a tax. You can say that the money is locked up yes, but it is still your money. CPF can be used to purchase your home, pay for higher education, invest in gold etc. And when you retire, the minimum sum which is set aside will be returned through regular payouts, either through CPF Life or Minimum Sum Scheme. 3. Private insurance isn’t a form of tax either. Private insurance is purchased for the individual’s consumption. Taking tax out of the equation, I remember a particular argument that Singaporeans are educated and matured enough to plan their finances, along the lines of no need for govt to enforce forced savings through CPF. If I understand your point correctly, does it mean you prefer the govt to enforce everyone pays a fixed amount in the form of a tax according to income? (remember, no insurance also means no $ left behind for your family) Or would you prefer to handle your finances yourself and buy insurance according to your healthcare/legacy needs? I personally prefer the latter. If we choose the former, I suspect future complaints could be: its not fair to tax the healthy to subsidise the unhealthy. If I take conscious effort to exercise regularly, eat healthily, why should I subsidise someone who smokes and drinks and has to undergo medical attention for lung or liver cancer? I think part of what you were trying to prove is that healthcare costs in terms of actual dollar paid by the Sg citizen is relatively higher than other countries? You may wish to look at other statistics to back this claim. I assume that the other part you were wanted to prove was that the taxes paid by Singaporeans is not as low as we always think it is. You aren’t wrong, but the basis for comparison should be all the taxes we pay such as GST, liqour and tobacco tax, additional stamp duties tax, COE, ERP etc. The day this government started compelling us to use our CPF to buy into CPF Life changes fundamentally the principle of “ownership” of our CPF. If I “own” my money, no one should be able to force me to spend it if I choose not to. “CPF can be used to purchase your home, pay for higher education, invest in gold.” If we choose, we can not make the purchase. Not so for CPF Life. Leon is on point on many of his points. The key thing is you get to use your CPF in many ways including housing (even as it’s “expensive” but so it is in Australia and the Nordics), and you get the remaining back upon retirement, while you never see your taxes again. CPF ought to be understood as a forced “savings” scheme if you like because it is just not in human nature to be disciplined to set aside money for basic needs. In today’s instant gratification world, get money, spend money. When I started working in Singapore in my early twenties, I opted to be a “self-employed” working for companies instead of their employee. So it’s up to me how much CPF I want to contribute or ‘save’. And I have never bought any insurance besides the Medishield which is like just $70 a year. 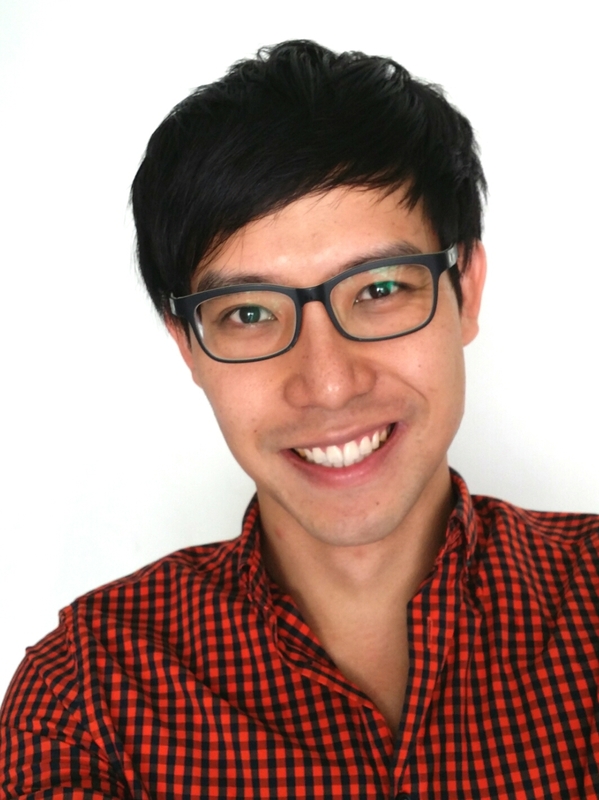 Now I’m in my late-twenties, I have no CPF, and it doesn’t bother me, since I have my own savings. Then I moved to the Nordic region for work. Many people still get private insurance due to the realities of not being able to rely on public health services – you are basically assigned to only ONE clinic in your neighbourhood for the free health care and most clinics pretty much open only 3-4 hours a day, in the mornings, and close on weekends. Doctors here do also go on strike time to time. And those with terminal illnesses can’t afford to wait for public system (which will queue according to seniority, so if you are young with cancer, you probably will have to turn to alternative treatments and pay for them, bad luck). I got to know a lady here in her 40s here who is recently diagnosed with cancer and now has to go to Germany for treatment – but without any insurance or savings herself or anyone in her family (thanks to the high taxes) meant the only way for her to pay for treatment is for us friends to fundraise for her, which we are. On education. While education it is free, do realise that it is free for the whole EU region (not just for Scandinavians, if you’re an EU citizen, you get it for free, so it’s more of a Scandinavian responsibility for the region due to their economic position). So the high taxes Scandinavians pay are pretty much covering for education for their neighbouring countries – all 26 of them – because Scandinavians are ‘privileged’ to be born in Scandinavia. So if you are an European citizen coming to Scandinavia to study for free, you get to use the free healthcare too. Will Singaporeans be willing to do that for the ASEAN region? I am not so sure. Free education has also led to the locals not actually valuing it since it’s free, they don’t actually cherish or see value in it. The governments have an increasingly hard time getting youths to further their education after high school. In any case, hope this clarifies for the many fundamental assumptions in this post. Some interesting points, although the Swedish average for tertiary education isn’t any higher or lower than the EU average (i.e. when compared to other EU nations that charge for higher education). Also, the benefit of having higher taxes (which increase the higher up the income bracket you get) keeps purchasing power among all members of society more equitable. It is easier to be middle income in Scandinavia (or in Holland, where I live) than in Singapore. I.e. I pay a higher tax, but I’m having an easier time making ends meet because the society is fairer as a whole. This is of course anecdotal – it’s just my experience, just like yours is. I heard that Swedish have started charging for higher education while it’s still “free” in Denmark, and which is why we get Europeans flocking here for it – some universities have 90% foreign students and just 10% Danes! Generally a middle income individual here would be taxed 40% ++ high income goes up to a whooping 60%! Easier is often subjective I suppose because Singapore there is the option of living a low income lifestyle (I still had $2.50 chicken rice when I visited Singapore in January!) even if you are of a middle income or high income bracket. While in Scandinavia you don’t have that option of living simply as everything is equitable for the middle-class like you say – which makes it almost impossible for people here to save up when needed, assuming the welfare state will never collapse – and that presents itself a lot of societal problems such as being in debts or completely relying on social welfare – a lot of debate going around about this. People here are not any happier than say Singaporeans! Society being fair is also a mindset drilled into people culturally since young that I am not sure if it will work in Asia. There is this social phenomenon called the “Jante’s Law” here which pretty much criticises Scandinavians who take pride in their success or think well of themselves, competition and productivity is not encouraged – to ensure that everyone will “buy in” to the taxation system when they grow up and start contributing and not turn red-eye if they have to pay for each others’ welfare. Especially for a good part of the society that sits back to take welfare handouts instead of working or contributing for their share. The system will collapse once people start thinking entitlement. I found your points really interesting, though I would like to add to the above comments that Singapore spends less on healthcare per capita than most countries… whether this is frugal or callous is another matter though. 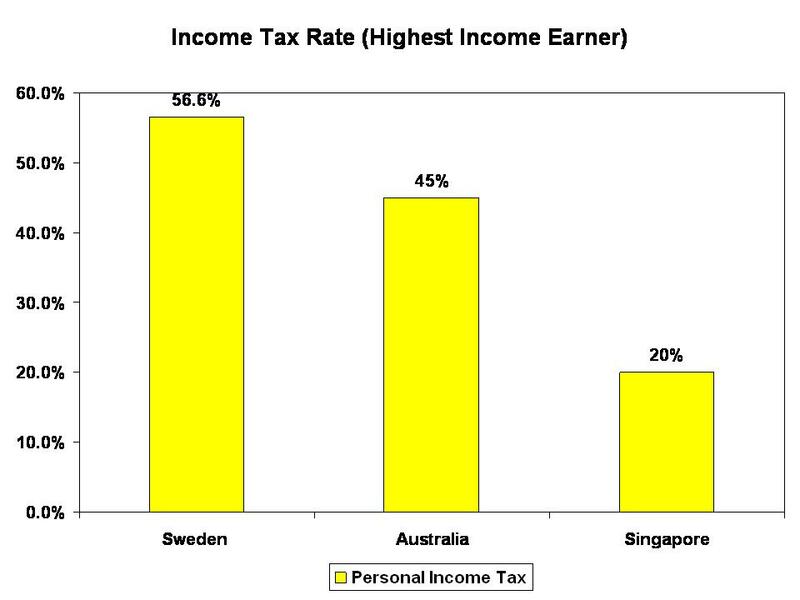 The author of the blog ignores the existence of several taxes in Australia that either do not exist in Singapore or are lower. 1. Our GST is 10%. The equivalent tax in Singapore (VAT) is 7% I believe. Most European countries have 20 or 22%. 2. Australia is a federation of states and the states impose their own state taxes. Specifically they impose payroll tax – typically 4%. 3. Finally, if you treat CPF contribution as tax, then Australians have 9.25% such tax too. It is called superannuation contribution. 4. Most taxation systems are progressive and have steps or thresholds. It is important where these thresholds fall. For two countries of the same maximum tax rate of 50% but having different thresholds the tax from a given salary will be different. 5. Then there are tax deductions, rebates and other ways of minimising tax. E.g in US mortgage repayments are tax deducible. This is a huge tax breal. US also allows couples to lodge their tazx returns jointly, which is a saving for couples that have different earning levels. In summary, you have to really take all of these into equation. NDP Rally 2013: Will The Government Do More For The People?